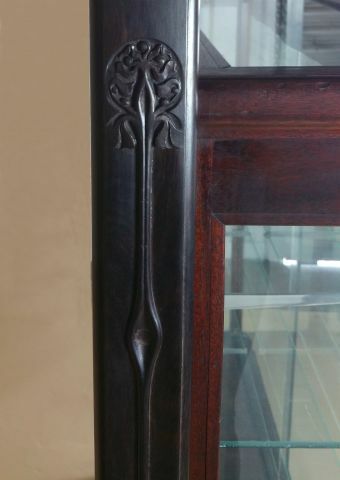 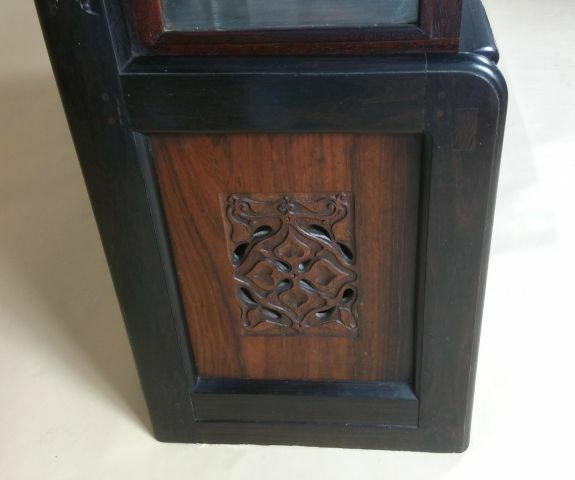 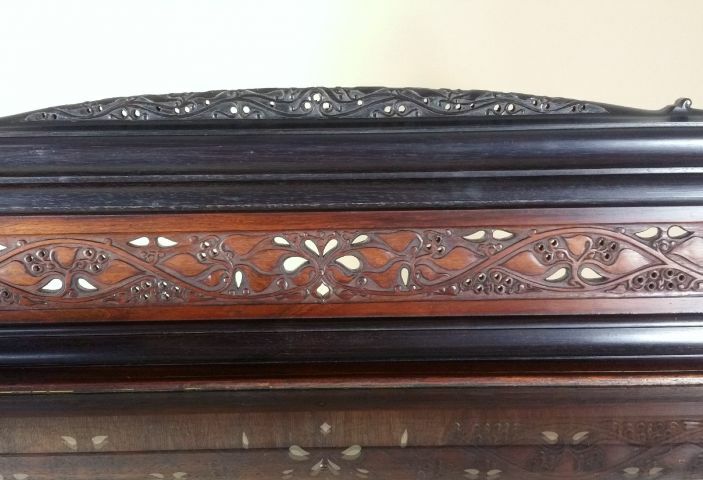 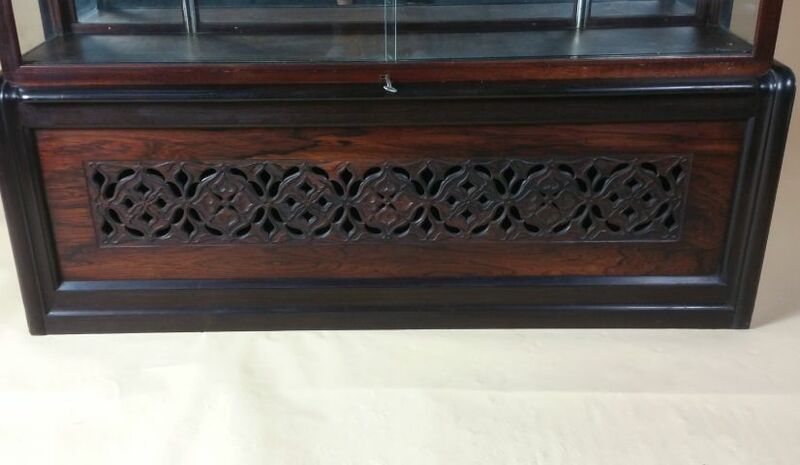 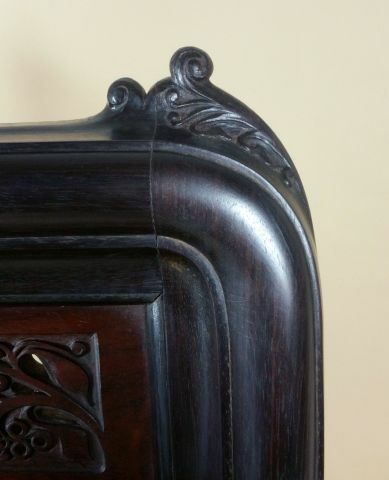 This outstanding and unusual Scottish Rosewood and teak display cabinet features a lovely and detailed pierced design with Art Nouveau Carved decoration. 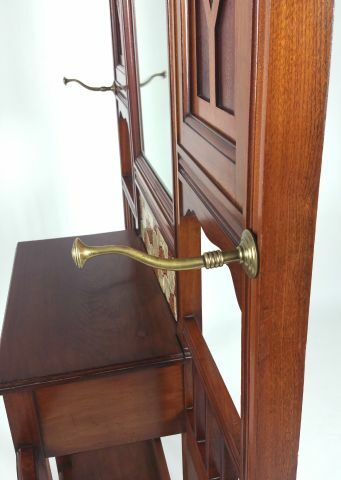 The cabinet has 3 adjustable glass shelves with a mirrored back and a working lock with the original key. 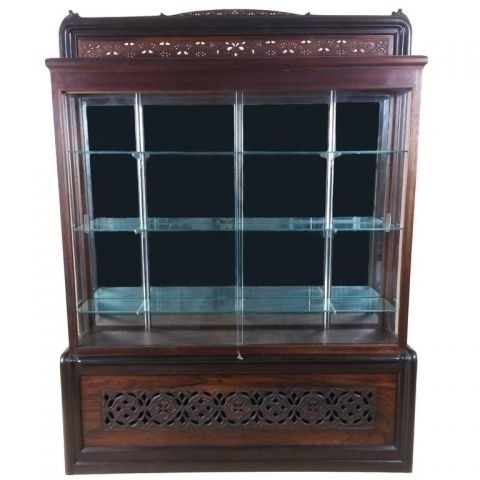 It measures 49 in � 124.5 cm wide, 13 � in � 33.6 cm deep and 65 in � 165 cm in height.